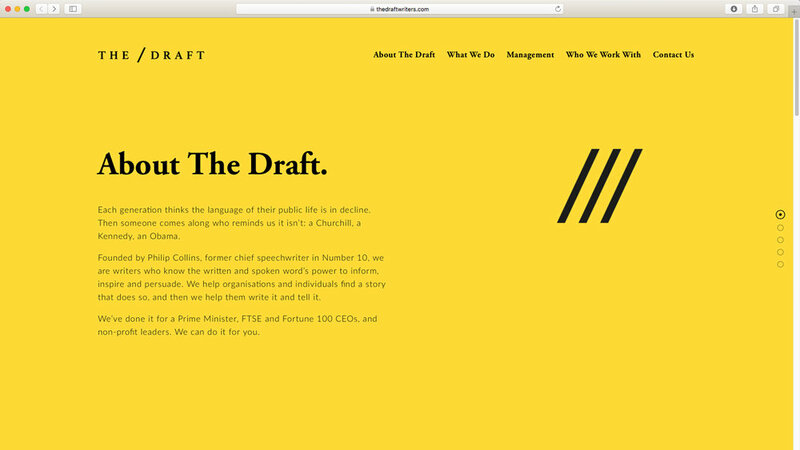 Bolter Design brand creation for The Draft, a London based writing, communications and strategy firm who write for some of the biggest names in business, charity and politics. Bold, assertive graphics push forward the clear cut brand of The Draft, allowing the words to take centre stage. Trust, expertise and authority are all part of the culture behind this brand.